0.09 or 0.090909 . . .
0.9 or 0.090909 . . . Note: I would model these on the open number line, often called the double number line when we represent rational number equivalencies on it. 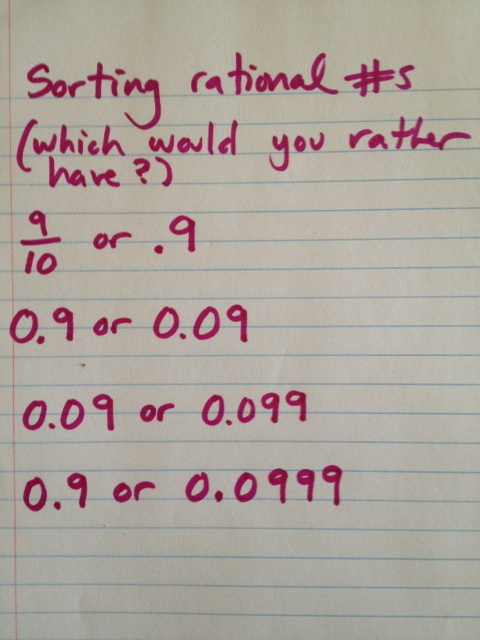 Or I would use a bar model, or money, depending on how the kids made sense of the numbers.